A few weeks ago a fun box arrived with JAKKS toys in it for the girls. I had never heard of JAKKS Pacific Toys before and was thrilled with what I learned. 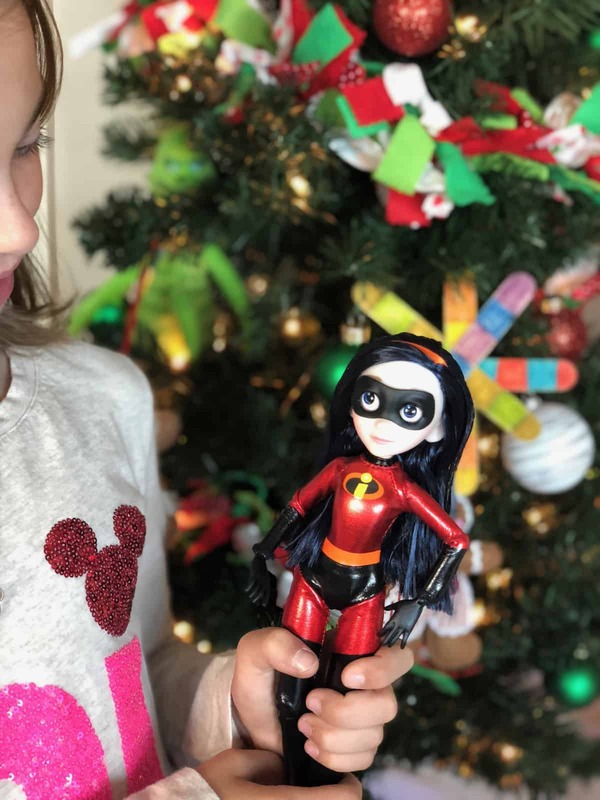 JAKKS has toys for kids of all ages and keeps our Disney fans happy. Want to know more? Here’s our review of JAKKS Pacific Toys. My girls are three and a half years apart. When they were smaller, this wasn’t a big deal. Now that they’re getting older, their interests couldn’t be more different. Emma is all about the smart, empowered women. Addie still wants to cuddle with the best of them. 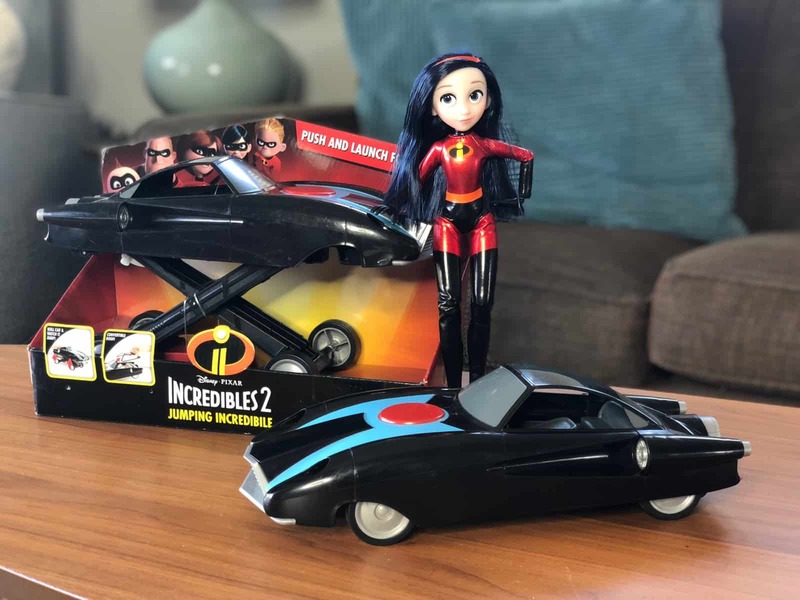 Emma was thrilled to see Violet in the box along with the Supers Vehicle, the Jumping Incredible. The Supers Vehicle is pretty cool. As it moves along it pops up to expand from their regular car to the super mobile. She’s been playing with this non-stop. I have to admit, I have even given it a go. 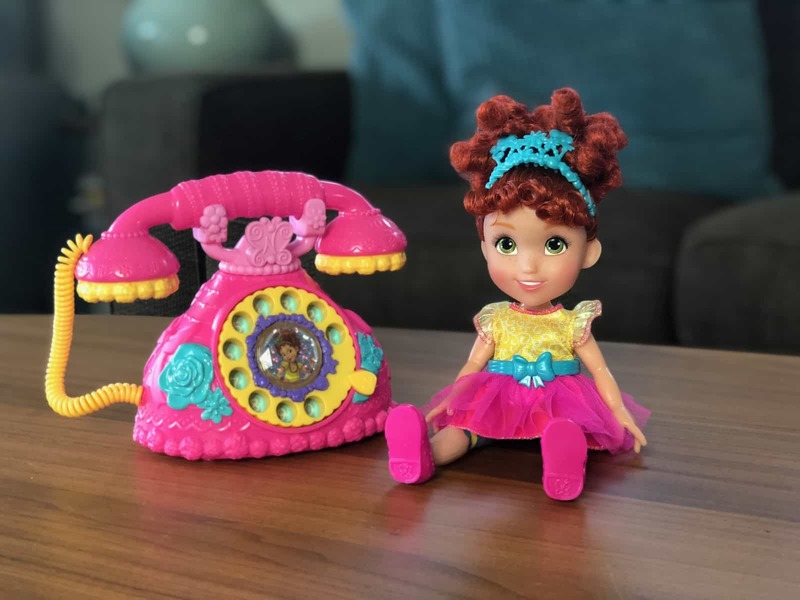 Addie was equally thrilled with her Disney Junior Fancy Nancy doll and Fancy French Phone. It’s been a hoot listening to her say Bonjour over and over again. Maybe we’ll be ready for our next trip to Paris sooner than I thought. With the holidays approaching quickly, you might want to head to your local retails to find these toys. JAKKS makes a lot of popular toys that I’m sure are on your child’s holiday list. Check out what they have from Black and Decker, Disney, Nintendo, Daniel Tiger and more. 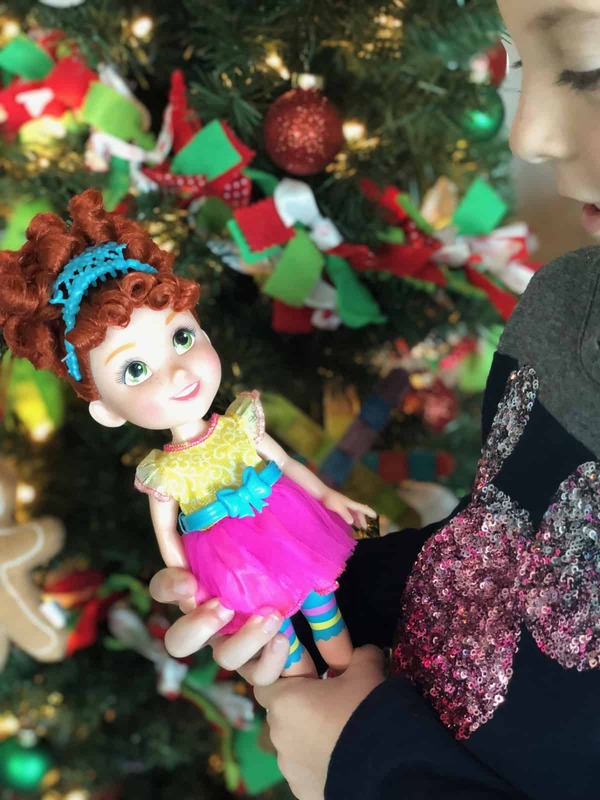 Hop over to Instagram and watch our Instagram Stories that show how these toys put a smile on our kid’s faces.